Over 70% of the earth is covered by water however, of that 70%, less than 3% is freshwater. Freshwater becomes an even smaller percentage of the earth's water when you consider that only about 0.3% fresh water is found in lakes, rivers, and swamps. Of all the water on Earth, more than 99 percent of Earth's water is unusable by humans and many other living things . This leaves a very small percentage of accessible fresh water. This small percentage is what makes the development of water pollution and in rivers, lakes, and oceans worldwide so problematic. Water pollution occurs when contaminants enter the groundwater, rivers, streams, lakes or oceans. 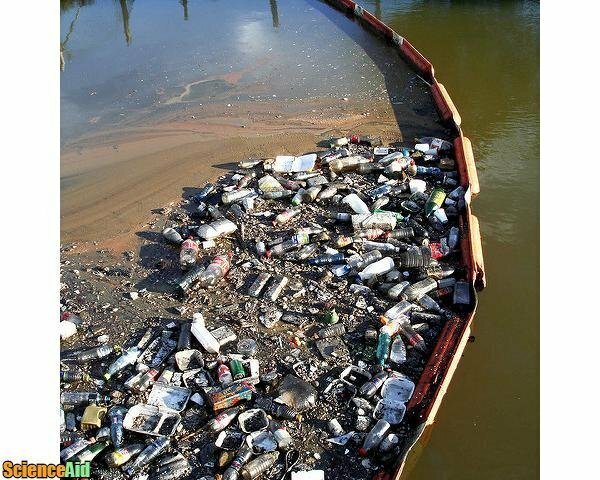 Most water pollution is caused by humans from industrial waste, fertilizers, untreated sewage,underground storage leaks, marine dumping and oil pollution have caused much of this damage. Every day, 2 million tons of sewage and industrial and agricultural waste are discharged into the world's water, the equivalent of the weight of the entire human population of 6.8 billion people. The UN estimates that the amount of wastewater produced annually is about 1,500 km3 six times more wastewater than exists in all the rivers of the world . From plastic bags to pesticides - most of the waste we produce on land eventually reaches the oceans, either through deliberate dumping or from run-off through drains and rivers. This continued until the 1970s, with dumping at sea the accepted practice for disposal of nearly everything, including toxic material such as pesticides, chemical weapons, and radioactive waste . Asbestos, metallic elements, lead, and mercury are non-biodegradable and difficult to dispose. Lead and mercury cause problems with human health and development as well animals, and the ecosystem's health and development. They are often washed into the water from nearby soils and cause toxic blue green algae and an over bloom of green algae which blocks oxygen and sunlight from entering the waters. 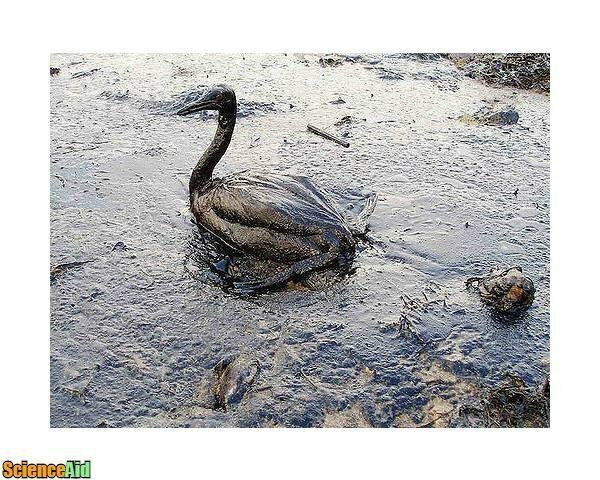 The oil industries pollution kills thousands of animal species with one spill. Runoffs and dumping of oil into the water system happen every day. Oil spills only count for 12% of the oils  that enter the ocean however the concentrated and larger amounts cause a great deal of harm. They can destroy whole ecosystems and are not easy or cheap to clean up. 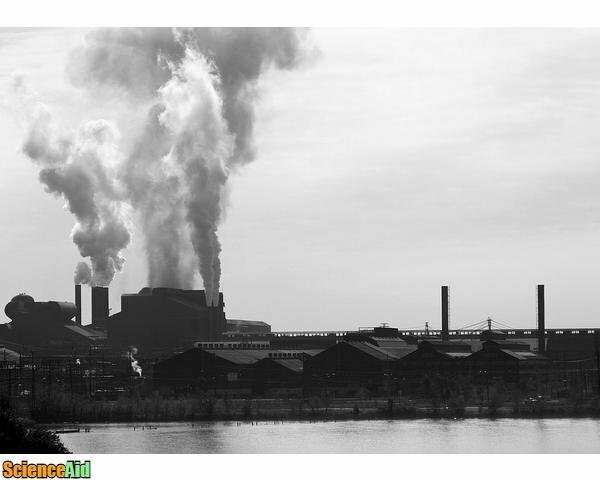 Atmospheric pollution develops from air pollution when nitrogen oxide and sulfur dioxide mix with water particles in the air. A toxic substance is formed referred to as toxic rain. It rains on land and the water contaminating both the soil and the water. Disease such as cholera and hepatitis come from eating seafood poisoned by water pollution, and drinking contaminated water. Severe water contamination occurs in developing and developed countries. For example, Flint, Michigan in the United States and Walkerton Ontario have had devastating water crisis, while drinking water advisories occur daily in communities across Canada and the United States. The increased deaths of aquatic animals because of water pollution is a large concern. Organisms large and small are killed by water pollution. High concentrations of plastic material, particularly plastic bags, have been found blocking the breathing passages and stomachs of many marine species, including whales, dolphins, seals, puffins, and turtles. Plastic six-pack rings for drink bottles can also choke marine animals . The food chain is disrupted when cadmium, lead, and other pollutants are eaten by small animals. These small animals are then eaten by shellfish, fish, and others, who are then eaten by birds or larger fish or mammals including people. From the cost of purifying water, clean-up operations, to the loss of revenue from fisheries and tourism. there are significant costs associated with water pollution. Water pollution affects everything from sports activities to staying alive, from diseases to the food we eat. One half of the world's population have health difficulties due to water based diseases (about 250 million people per year, resulting between 5 & 10 million deaths. In the United States alone 1.2 trillion gallons of storm water, industrial waste, and sewage is let into their waters every year . 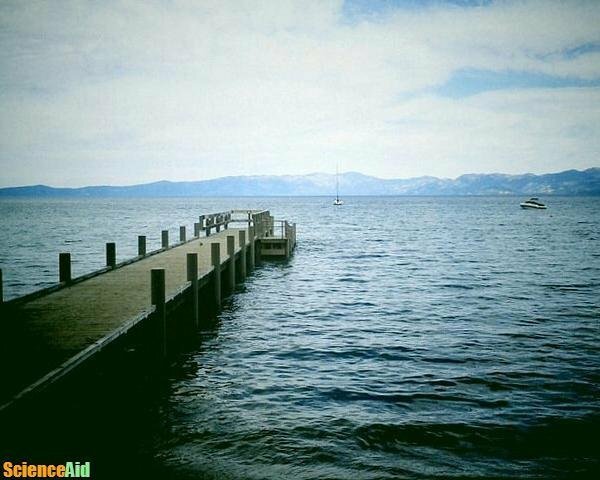 In North America 47% of the lakes and 40% of the rivers are too polluted for swimming, fishing, or aquatic life . 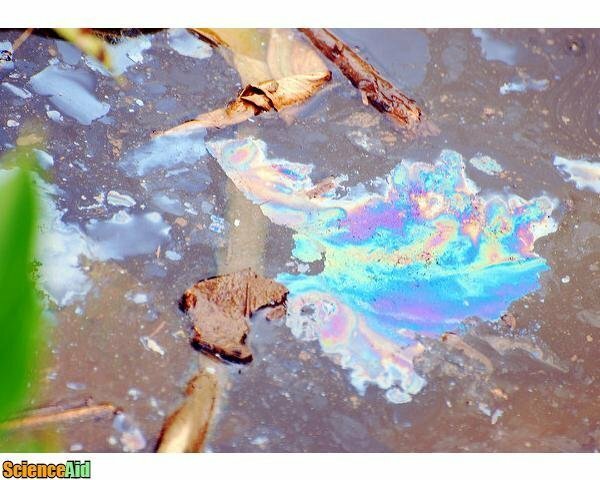 In the United States over 200 million gallons of motor oil are improperly disposed, dumped in the ground or left in the garbage . A cruise ship can generate 3.8 million liters of greywater, 796 thousand liters of sewage, 150 thousand liters of oily bilge water, 8,128 kgs of solid waste, and other toxic wastes every week . The largest oil spill ever was caused intentionally. During the 1991 Gulf War, over 250 million gallons of crude oil were dumped into the Persian Gulf. Oil wells in Kuwait were burnt, leading to toxins in the land, air, and water . In 2010, BP oil spilled a huge amount of oil that covered 120 miles of the Louisiana coast were polluted by the spill. Over a thousand birds and aquatic animals died immediately. Much more followed with only 6% of the wildlife being cleaned. In 2012 the American government and BP agreed to a settlement of 4.5 billion. The Transocean Oil rig exploded in 2010, killing 11 workers. As one of the United States biggest environmental disasters the Gulf of Mexico was severely damaged . In 2011, a Tsunami (a powerful earthquake in the sea) raised the water level on the Japanese coast. The water damaged 4 of the 6 nuclear reactors from a Power Plant. Scientists still do not know the amount of damage and water pollution that occurred . Turn off taps when you brush teeth, use low flow toilets and shower heads. #Wash cars at car washes that reuse their gray water. Reuse your gray water or simply containers or other items around the home or office the less garbage we create the less garbage that can go into the water. Many materials can be recycled including glass, plastic, paper and more If we can recycle paper we have more paper and less waste. There will be places to safely get rid of them. Buy from industries and business who are responsible for eliminating and getting rid of their waste responsibly. Encourage environmentally responsible companies by supporting them and their healthier alternatives. Write your government officials to let them know you support environmentally reasonable practices. There are a lot of good people doing a lot of great things. MLA (Modern Language Association) "Effects of Water Pollution On The Environment." ScienceAid, scienceaid.net/Effects_of_Water_Pollution_On_The_Environment Accessed 25 Apr 2019. Chicago / Turabian ScienceAid.net. "Effects of Water Pollution On The Environment." Accessed Apr 25, 2019. https://scienceaid.net/Effects_of_Water_Pollution_On_The_Environment.